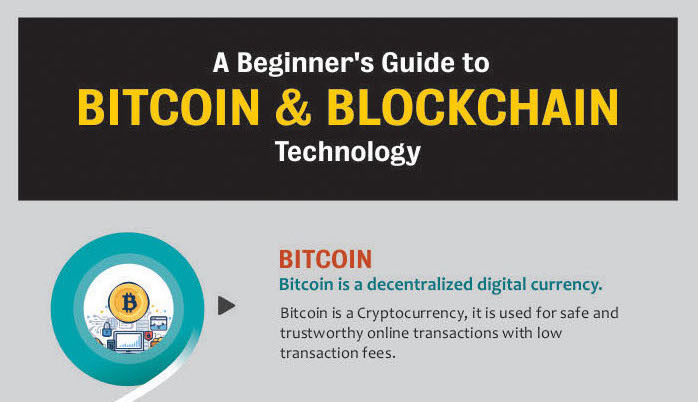 Home / Archive by category blockchain"
We are very happy to publish this beginner’s guide to Bitcoin and Blockchain technology provided by Bitcoinfy team. As you might know, Bitcoin is the first ever decentralized cryptocurrency. It’s fungible, portable, divisible and irreversible. The Bitcoin was firstly invented by the name SATOSHI NAKAMOTO in the year 2008 and it was later published as an open source in the year 2009. But the person or group behind the invention have no traces of identity as the bitcoin was published by an unknown person or group using the alias Satoshi Nakamoto. After the invention of Bitcoins many cryptocurrencies emerged out, where some used the same system and structure of bitcoin and others implemented the structure and made better digital form of currency. They are often termed as ALTCOINS which means Alternate coins of bitcoin. To record all the transactions of the bitcoins a public ledger called BLOCKCHAIN has been invented. The blockchain plays an important role, the whole bitcoin network completely relies on the blockchain. Now you are ready to start reading the infographic! Open your free digital wallet here to store your cryptocurrencies in a safe place. Battle of ROI: Should You Invest in Shares or Cryptocurrencies? Investment opportunities are a dime a dozen in the digital world, but unsurprisingly, cryptocurrencies are among the most interesting prospects aspiring investors are looking at. Unlike their traditional counterparts such as gold, stocks, traditional currencies, and other, cryptocurrencies and the blockchain platform they reside on offer a chance at the big leagues for any investor that makes the right move at the right time. However, that doesn’t mean that established assets shouldn’t be ignored. Bitcoin has turned eight years old this year, and the now mature digital asset has had a strong ROI rate throughout its life, fueled by its constant and steady adoption around the globe. With outstanding payouts that topple some of the most lucrative investment assets on the market, it’s time to take cryptocurrencies more seriously. However, there are a number of factors that make shares a strong and secure investment opportunity that cryptocurrencies might not be able to match. Let’s consider the market trends and help you discern between shares and cryptocurrencies as viable investment prospects. Through trial and error, through success and failure, Bitcoin has become a sound investment portfolio option. Out of the six previous years, Bitcoin has yielded a great return on investment and will only continue to rise in the months and years to come. With the computational networks becoming more secure and stronger than before, and with the coming of flexible and reliable wallet services, it only stands to reason that modern investors should look towards cryptocurrencies as viable investment opportunities. Even though investors have had difficulties penetrating the market over the years because of the inherent volatility of the market and the unpredicted growth and fluctuations, modern market trends indicate a more secure investment arena for the upcoming period. The increase in market liquidity, regulatory oversight, and overall security is making Bitcoin and other cryptocurrencies more appealing to investors worldwide, as well as countries willing to adopt the cryptocurrency as a new method of payment in select instances. The stock market is a veteran among investment assets and remains one of the most stable markets on the planet. Buying a share in a company that is operating profitably will grant you smaller or greater returns over a number of years, depending on the fluctuations in the market and the worth of the company’s stocks. You can choose to invest in a range of businesses varying in size and equity though a broker or an investment fund. Over the last year, though, profitable small cap stocks have made a boom in the industry and created a lucrative investment arena that aspiring investors should take into consideration when planning their next big move. Even though major tech companies continue to garner the attention of the investment world, small cap stocks prove to be an easier way into a stable market and show a great potential for grand financial returns in the years to come. However, financial return should not be your only guiding star. One of the greatest concerns for any investor is whether or not the market in question is safe and stable enough for storing assets without them vanishing into the abyss with no prior warning. It’s a well-known fact that the cryptocurrency market is not regulated by any traditional means, but rather is was envisioned and still serves as a public ledger that works as a decentralized data management system – a system where every transaction is stored. This means that the cryptocurrency market is not regulated by any governmental body, nor is it recognized by legislature or financial institutions. As such, cryptocurrency transactions cannot be influenced, capped, reserved, or identified by third parties. However, this creates a possibly volatile investment environment the stock market is protected from. The stock market is one of the safest investment markets in the world. The fact that it is extremely well-regulated by federal law and financial institutions ensures a higher level of security and accuracy, while the strict vetting process for participants from both sides ensures transparency for investors. All of this works together towards creating a safe investment arena, and it also helps make sound forecasts in terms of market fluctuations, giving more control to the investor. With all of that said, it’s important to note that Bitcoin has never been hacked, nor is it likely to get hacked any time in the future. The projected amount of computing power and time needed to crack into individual transactions and wallets is almost impossible to replicate in real-life scenarios, and so blockchain stands tall as the most secure platform on the web. While it is true that Bitfinex and Mt.Gox have been hacked in the past, nowadays the cryptocurrency game offers far more superior security options to its investors. 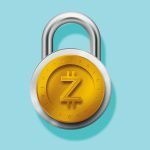 With cryptocurrencies, the assets you store in your wallet are safe. This cannot be said for other investment assets, as every digital trading game has its set of liabilities and risks the hackers can exploit. Investors are constantly looking for emerging opportunities and lucrative assets that will yield a high ROI over a specified number of years, and both the stock market and the crypto market offer a good chance of a high return on investment. That said, the stock market offers a more stable and well-regulated investment arena, whereas cryptocurrencies offer extreme returns to those who invest in the next big project. Welcome to the Universal Wallet and Exchange, Enjin coin. 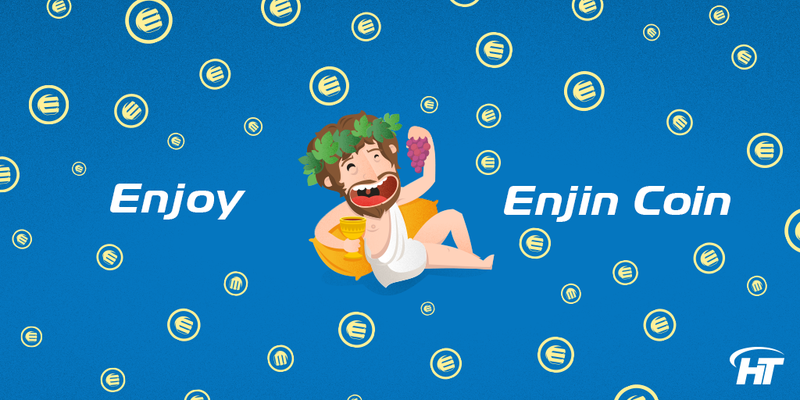 If you thought about holding or exchanging ENJ Enjincoin, now you can do so directly with your HolyTransaction Universal Wallet. We have successfully integrated Enjincoin and it’s now possible to add ENJ wallet to your dashboard and use it to access and exchange all cypto supported, instantly. This is just one of the many recent adoptions that increased the possibilities of our platform, by bringing the number of cryptocurrencies accepted to 29. 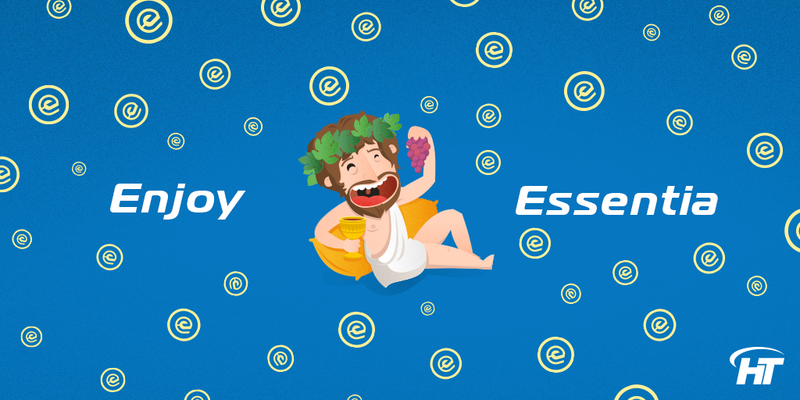 Now you are free to store ESS on HolyTransaction, transfer them to any other wallet, and make crypto-to-crypto transfers from and to ESS. All HolyTransaction customers can create a new address for their own Essentia Wallet with the maximum ease. • Set OTP for additional protection. If you are not able to see your newest Enjincoin Wallet, you just need to click on the “plus” button on the top right of the balance page, once you successfully login into your own wallet. The EnjinCoin Team built a “modular platform enables you to explore endless use-cases for blockchain technology”. The Platform allows to Integrate blockchain really quickly “without writing a single line of code – or go all in and create custom tokens & contracts from scratch”. Enjin offers a completely flexible, free platform for creating, integrating and scaling tokenized gaming assets. Here you can find a list of features as reported in the official website. Create unique gaming assets – rare cards, scarce weapons & heroes. Use the ERC-721 token standard or mint them with ENJ. Forge in-game currencies, virtual goods, gold coins, cards, generic loot items, mineable resources and other abundant gaming assets. Use everything from bound tokens & whitelists to trading fees & token bundles to supercharge your token & game mechanics – and increase your revenue. Back your tokens with ENJ and provide the ultimate value proposition for your audience, true ownership of meltable gaming assets that have real-world value. Use our easy to use SDKs to integrate blockchain with your game. Use pre-built Token Supply models or code your own smart contracts. Take advantage of Efinity, our sidechain instant token scaling network to build everything from CCGss, Dapps to massive, MMO gaming multiverses. Level up your published titles with blockchain technology – or build everything from groundbreaking MMOs and MOBAs to full-blown gaming multiverses. Whether you’re an experienced blockchain solidity developer or a total newbie, ENJ platform is everything you need to power the next crypto-collectible DApp. 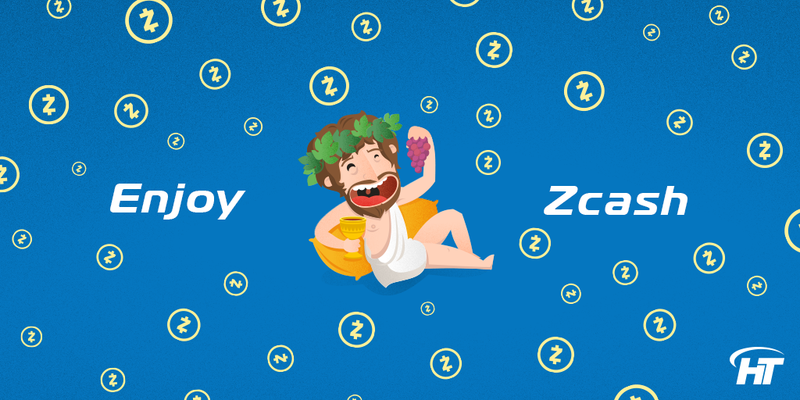 Mint custom tokens and galvanize your audience – boost online interactions, supercharge your marketing efforts and give prizes to your biggest fans. Incentivise activity and encourage engagement by automatically rewarding your community members or gamers with tokens that have real-life value. Welcome to the Universal Wallet and Exchange, Power Ledger. If you thought about holding or exchanging POWR Power Ledger, now you can do so directly with your HolyTransaction Universal Wallet. It’s now possible to add POWR wallet to your dashboard and use it to access and exchange 27 different crypto instantly. 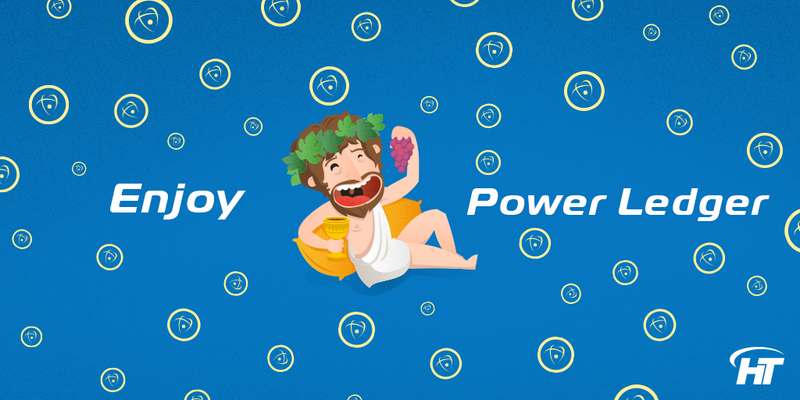 Now you are free to store POWR on HolyTransaction, transfer them to any other wallet, and make crypto-to-crypto transfers from and to POWR. All HolyTransaction customers can now create a new address for their own Power Ledger Wallet. If you are not able to see your newest Power Ledger Wallet, you just need to click on the “plus” button on the top right of the balance page, once you successfully login into your own wallet. Power Ledger is an Australian blockchain-based energy trading platform that allows for decentralised selling and buying of renewable energy. The platform provides consumers with access to a variety of energy markets around the globe and is scalable to various energy infrastructures and regulations. Welcome to the Universal Wallet and Exchange, Digixdao. If you thought about holding or exchanging DGD Token, now you can do so directly with your HolyTransaction Universal Wallet. It’s now possible to add DGD wallet to your dashboard and use it to access and exchange 26 different crypto, instantly. Everything in one account. Now you are free to store DGD on HolyTransaction, transfer them to any other wallet, and make crypto-to-crypto transfers from and to DGD. All HolyTransaction customers can create a new address for their own DGD Token Wallet. If you are not able to see your newest DGD Wallet, you just need to click on the “plus” button on the top right of the balance page, once you successfully login into your own wallet. DigixGlobal is the first organization built on Ethereum that tokenizes physical assets onto the Ethereum blockchain, specifically 99.99% London Bullion Market Association (LBMA) approved Gold bars through our Proof of Asset (PoA Protocol). They anticipate that synergies amongst all Decentralised Applications (DApps) on Ethereum will eventually lead to an increased volume of Digix Gold tokens. DigixDAO is a suite of smart contract Decentralized Autonomous Organization (DAO) software created and deployed by DigixGlobal on the blockchain, and aims to work with the community to govern and build a 21st century gold standard financial platform on Ethereum. It wants to establish a standard in being an open and transparent organization using the power of Ethereum smart contracts, such that DigixDAO token holders can directly impact decisions dedicated to the growth and advocacy of the DigixCore Gold Platform. In return, token holders are able to claim rewards of transaction fees on DGX from DigixDAO every quarter on the Ethereum platform. All raised Ethers will be kept in a publicly disclosed Ethereum address. The DAO will have a project pledging mechanism in place, where token holders are eligible to pledge their approval /rejection of project proposals suggested by DigixGlobal, before any of the raised ETH can be unlocked from the DAO’s multisignature contract wallet. DigixDAO wants the community to directly influence the allocation of raised ETH in a transparent manner. All project proposals will be uploaded onto the InterPlanetary File System (IPFS) and is publicly available. Token holders will get to pledge their support for projects on the blockchain before any of the cryptocurrency raised can be released to DigixGlobal. They predict that their product will revolutionize the digital gold industry by providing an open and transparent asset backed token on Ethereum. DigixDAO Token (DGD): DGD Token entitles you to pledge for project proposals at Digix and allows you to claim a reward on transaction fees collected on the system every quarter. They are divisible to 9 decimal placings and are transferrable. Gold Asset Ownership Card: A digital Gold asset card issued to the purchaser of a Gold bar as listed on the Digix Web Application marketplace. Pledging: Every DGD token automatically entitles the holder to pledge on proposals that are submitted by Proposers or Digix Developers. Your pledge significance is directly proportional to the amount of DGD tokens held in your ethereum address. Proposer’s Badge: The Proposer’s Badge entitles the Proposer to formally propose a project or a feature he/she will like to see on the Digix platform. For example, it could be as simple as an add-on button feature, a live Gold visual chart or an additional product offering. Proposer badges also allow you to vet on other Proposer’s projects. Proposer badge significance is directly proportional to the number of badges you hold in your ethereum address. Proposer badges are different from pledging. 2,000,000 DGD tokens.. DGD Token ownership is transferable to anyone who has an Ethereum Wallet. Welcome to the Universal Wallet and Exchange, Essentia Token. If you thought about holding or exchanging ESS Essentia, now you can do so directly with your HolyTransaction Universal Wallet. We have successfully integrated Essentia Token and it’s now possible to add ESS wallet to your dashboard and use it to access and exchange 25 different crypto, instantly. This is just one of the many recent adoptions that increased the possibilities of our platform, by bringing the number of cryptocurrencies accepted to 26. If you are not able to see your newest Essentia Wallet, you just need to click on the “plus” button on the top right of the balance page, once you successfully login into your own wallet. Here’s how Matteo Zago, Founder at Essentia One, answered everyones’ question. What is Essentia? “Essentia is a modular, decentralized interoperability and data management framework. It aims to collect and connect centralized and decentralized resources into one cohesive environment and provide the interoperable framework for the Web 3.0. Being not only interoperability but also management framework, another Essentia’s objective is to provide users full control over their personal information. Using Essentia, it is possible to set up what information you want to share, with whom and even for how long. Essentia is created as a tool to help users smoothly transition from Web 2.0 to Web 3.0, by creating a network of application that can be used at once, from one place with the help of the seed only. As technology continues to shift society, companies are quick to adapt to the digitised landscape. 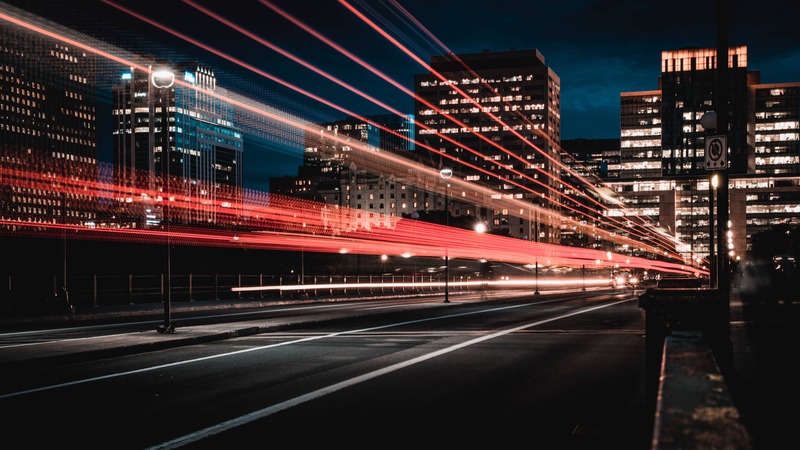 Everywhere, service providers are looking for new ways to enhance their performance, cut costs, and cater to customers more efficiently through new and evolving tech. This is where cryptocurrency and blockchain come in. Initially, blockchain was designed to facilitate the transfer of bitcoins and other cryptocurrencies. But at its core, it’s a shared database containing multiple encrypted entries. This public ledger is capable of recording high volume transactions across the globe, with its decentralised nature lessening the risks of fraud. That said, blockchain technology has a wealth of potential uses. It not only presents companies with a safer alternative, it also eliminates the need for tedious, paper-heavy manual processes, such as bookkeeping. Business Insider notes that its increasing popularity has proven useful in the world of finance, where the revolutionary sector known as Fintech is making strides. This advancement is providing technological solutions and simplifying complex mechanisms, as underlined on a previous article here on Holy Transaction. Beyond that, blockchain is poised to radically restructure many of the world’s most important industries. Here are four fields that this innovative technology is currently disrupting. The supply chain and logistics industry is full of opportunities for human error. Multiple factors such as time delays and high costs can create a ripple effect that is felt throughout the entire process. With blockchain technology, every transaction can be documented and stored in a permanent database — from manufacturing to point of sale. 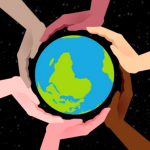 The reliability and integrity brought about by blockchain is an advantage that many global companies such as Unilever and Dole are now beginning to take advantage of in their respective supply chains. 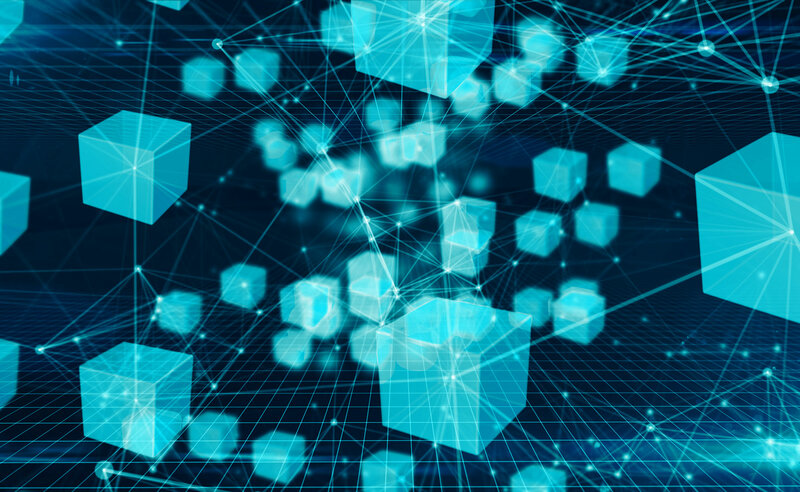 In truth, blockchain technology is just one of the many ways the supply chain and logistics industry is taking advantage of continuing innovation. Truck platooning, for example, is already being hailed as the future of transportation. Meanwhile, a recent mandate for the use of Electronic Logging Devices (ELDs) from the U.S. Department of Transportation also leverages the latest technology to make highways safer and driver tracking more efficient. Verizon Connect highlights how ELDs can be used to optimise driving routes, thus maximising mileage and movement. The use of these ELDs by thousands of trucking companies has allowed them to automatically time driving hours, monitor engine time, and look in-depth into information routes. The regulation was implemented in the U.S. just last December, and other countries are expected to follow suit in the future. With these innovations, along with blockchain technology’s assurance of more secure and transparent transactions, the growth possibilities across the supply chain are endless. Purchasing or selling properties comes with a bottomless pit of paperwork and the hassle of going through various middlemen. Blockchain is turning the real estate industry on its head by driving power back to homeowners and buyers themselves. One company at the forefront of this shift is Deedcoin Inc. Deedcoin’s mission is to provide much-needed transparencybetween all involved parties and improve their relationship, which they are doing by tokenising the process and eliminating any middlemen. Moreover, this cryptocurrency-powered platform is putting an end to frustrating agent commission rates, making home ownership more feasible for a greater number of people. Meanwhile, Holland is gearing up to implement a blockchain-based system for their national Land Registry. By securely storing medical records that can be accessed by authorised personnel only, blockchain technology is able to aid in restoring the trust between patients and doctors. In the future, it will also help to identify patients. Here in the EU, the Innovative Medicines Initiative is also working to implement a blockchain-enabled healthcare program that helps patients gain faster access to life-saving medication. The tech will also work to check the authenticity of drugs and put an end to the counterfeit medication market, which is estimated to be worth 160 billion Euros. Even gaming isn’t exempt from the tech touch. Many players and investors are already acknowledging the mountain of opportunities that blockchain brings to the table. Gamestatix co-founder Dean Anderson stated that there was previously no feasibly way to financially compensate players for co-creating games. However, blockchain technology has paved the way for a model that guarantees financial rewards for all. Gamers will be rewarded with cryptocurrency for test-driving and reviewing games, providing valuable feedback to developers, and promoting games across social media. By providing monetary incentives, it puts an end to free labour, thus encouraging better quality of games. For more articles on cryptocurrency or information about crypto exchanges, be sure to explore the Holy Transaction website. The rapid advancement in the concepts such as- Blockchain and Bitcoin are gaining widespread popularity. Nowadays cryptocurrencies have become the talk of the town and the way its value increases, it grabs the attention of various people around. Today most of the individuals who are working in the blockchain industry for the first time think this is the best career path they have chosen. There are several companies which have already begun to adopt the concept of blockchain technology. It is the most incorruptible digital ledger which is used for the economic transaction that you can also program to record. Being entirely different from the concept of Bitcoin, the best part about blockchain is that it allows you to execute the contracts efficiently along with transferring money. Since by using the internet you can quickly get information to almost everything, thereby limiting the use of newspapers. It has become quite easier with both blockchain and cryptocurrency to transfer money, thus permanently bypassing the middleman. As it is digital money, its process can be recorded since the moment networking on the same begins. Thus it makes the valuable transfer as well as the accounting a whole lot easier. 1 Good Futuristic Value- Over the past few years, blockchain investment has increased a lot, and it is certainly the best place to make sure career keeping future growth in mind. The blockchain’s productivity has slowly begun to unlock the flexibility of the business and also ensuring that the changing market dynamics are fully met, and the overall efficiency of business gets improved. 2. More ways to Explore- Being a huge sleeping giant, you can utilize blockchain technology as a platform to explore different ways. In order to ensure that various services are well secured and without any error, many engineers are trying to utilize this technology. It has certainly a big scope and various startups are already running with it. 3. Huge demand- As we are aware that the blockchain technology is an ever-increasing sector, and numerous opportunities are waiting for you. Cryptocurrency is one such application for the blockchain technology that is utilized by the startup organizations along with the various famous enterprises. 4.Good salary- As we already know that the demand for this option is very high, and you can expect good salary. As it is both improved and progressive technology, it is quite tough to get placed in here, but once you do there is absolutely no compromising with the salary. Choosing a blockchain industry is certainly a good career path for any individual from any domain. However it is complex in its initial stages, but after a thorough understanding you will be able realize how rewarding it can be. What to Consider Before Investing in ICO in the second half of 2018? After the success of the very first cryptocurrency, Bitcoin, many investors are now looking for the next big opportunity to invest in. Bitcoin opened the market for more cryptocurrencies and newest blockchain technologies to develop and grow. Nowadays, Bitcoin has seen better days, while there are over a thousand different digital currencies on the market. That being said, Ethereum is taking the lead on the market with their cryptocurrency called Ether and their newest blockchain technology development and implementation. However, investors can’t sit and wait for years until a new company with their innovative idea starts to grow on the market. Instead, they are trying to predict the next important opportunity and invest in the initial coin offering (ICO) behind that opportunity. That way, they don’t only get to be the first to support the next revolutionizing cryptocurrency, but they also get to earn a considerable return on investment. Still, that’s easier said than done, due to the market’s volatility and unpredictability. Therefore, here are a few things to consider before investing in ICO in 2018. What exactly is an ICO? 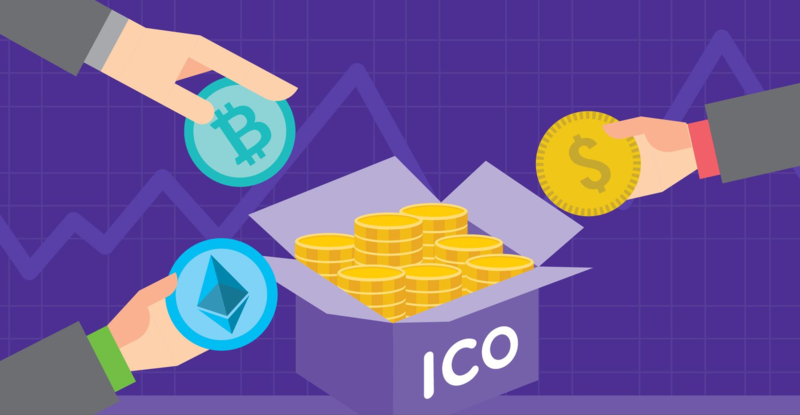 Initial coin offering, or ICO, is a way for companies to attract investors by offering their cryptocurrency tokens in exchange for support and funding. Simply put, it’s a fundraising method for companies to finance their new projects, by offering their tokens in exchange against other cryptocurrencies, such as Ether and Bitcoin. ICO are also similar to initial public offerings otherwise known as IPOs. Companies sell their stocks to the public, in order for their shares to be traded on the stock exchange market. However, IPOs offer stock to the public with a security exchange, whereas ICOs are still unregulated and there are no procedures that can validate a company’s or their token’s credibility. That’s why it’s important to take your time to plan out your investments and consider your options carefully. Before you decide to invest in any ICOs, you have to conduct thorough research first. As mentioned before, ICOs are highly unregulated so far, which means that a bad call can cost you your entire investment. The popularity of the digital currency market has made it possible for various companies to promote their own projects and their unique cryptocurrencies. This trend has led to over a dozen ICOs being offered each day. However, not all companies have their own blockchain technology like Ethereum. As a matter of fact, many new projects are based on existing blockchain technologies. This makes it difficult for investors to spot out good projects with the potential for considerable ROI. That’s why you must plan your investment and research the ICOs available on the market. For instance, you can check out reliable sources, such as The Blockchain Review, which can offer the latest information about the current ICOs on the market and their overall performance. might appear interesting enough to invest in, but you must be sure that it’s not, in fact, a scam. That’s why you should take your time to read their whitepaper thoroughly. The better you understand the company and their goals, the more you’ll know about whether to invest or not. The key points you should be on a lookout for are company’s description and main information, the problem they wish to approach with their project and the solution they offer for that particular problem. Also, make sure you check out their product description and how they plan to implement, as well as commercialize, their tokens. What’s more, you need to keep an eye out for their token value and its distribution, as well as how their tokens differentiate from others on the market. Most importantly, check out their legality and how they use the funds obtained from their ICO. Doing your research and reading whitepapers is only the beginning. You have to be absolutely certain that the company you’re about to support with your investment is worth it and that you’ll actually profit from your investment. That’s why you need to learn as much as you can about the company you’re about to deal with. For starters, check out their website. You must evaluate every aspect ranging from the website design and security all the way to information a company has available on their website. In addition, check their online activity and their presence, in order to determine how much effort a company is placing in promoting themselves. Moreover, check out their partners. That will give you insight into which system is a company using, as well as which electronic platforms they are partnered with. Checking out the legitimacy and credibility of a company demands time and effort. 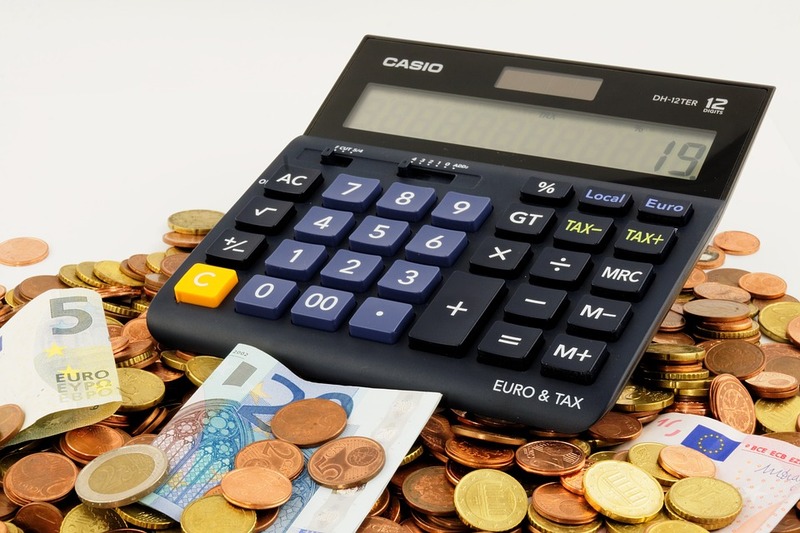 However, it will help you minimize the economic risks and ensure your investment is not in vain. Investing in ICO can prove to be a lucrative strategy for investors. There are various ICOs on the market, but not every one of them has the potential to be the next big cryptocurrency. That’s why it’s important to do your research well and take time to consider all the important factors before you make an important decision. Welcome to the Universal Wallet and Exchange, Groestlcoin. If you thought about holding or exchanging GRS Groestlcoin, now you can do so directly with your HolyTransaction Universal Wallet. It’s now possible to add GRS wallet to your dashboard and use it to access and exchange 25 different crypto, instantly. This is just one of the many recent adoptions that increased the possibilities of pur platform, by bringing the number of cryptocurrencies accepted to 25. Now you are free to store GRS on HolyTransaction, transfer them to any other wallet, and make crypto-to-crypto transfers from and to GRS. 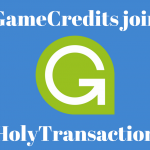 All HolyTransaction customers can create a new address for their own Groestlcoin Wallet. If you are not able to see your newest Groestlcoin Wallet, you just need to click on the “plus” button on the top right of the balance page, once you successfully login into your own wallet. Groestlcoin is a fast and secure coin with almost zero fees that is privacy oriented. Launched on 22nd March 2014 with a focus on technological advancement, Groestlcoin has major development releases every 3 months. Groestlcoin is a blockchain pioneer due to it being the first coin that activated SEGWIT and first to performed Lightning Network transactions on mainnet. The Groestlcoin Team has developed wallets for every platform: Android, iOS, BlackBerry, Windows, macOS, Linux, Chrome OS and Web. And besides that, the Groestlcoin Samourai wallet enables you to send GRS anonymously. The main idea of creating Groestlcoin was to establish an electronic payment model that was purely based on mathematical proof. It uses the proof of work system (POW) to facilitate secure online money transactions. A system that is independent of influence from centralized authorities, a currency transferable electronically, and instantly at a very small fee. Using 2 rounds of Grøstl-512 mining algorithm, makes Groestlcoin an ASIC resistant cryptocurrency. What’s Wiser: Storing Crypto at the Exchange or in a Wallet? Why it’s necessary to use VPN for crypto trading? Send to Bitcoin SegWit bech32 addresses! kann on Send to Bitcoin SegWit bech32 addresses! jonell on Battle of ROI: Should You Invest in Shares or Cryptocurrencies?